One of the best parts about going on vacation is the opportunity to try new and different foods that you wouldn't get to enjoy back at home. Unfortunately, when you're coming from out of town, it's often difficult to determine which local eateries are worthy of your tastebuds. Fortunately, when you're in Helen, places to eat are not scarce, and there are tons of excellent options for visitors with all tastes and palettes. You'll never have to stray far from the fun and attractions in order to satisfy your appetite. In fact, you won't even have to leave Main Street! This quick guide will walk you through the top rated Helen places to eat, right in the center of town. Georgia getaways are not complete without a few new restaurants. 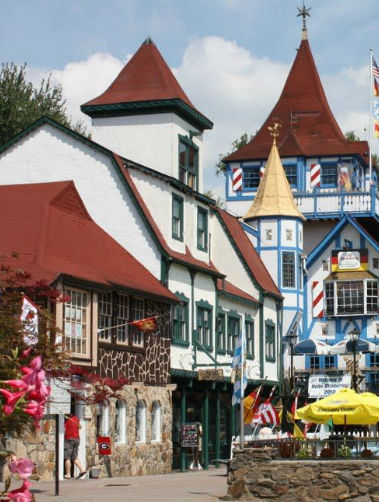 Helen is a charming tourist town decked out like a Bavarian village in the foothills of the Blue Ridge Mountains. There are a wide range of restaurant options on Main Street. From classic American fare to Mexican to German, there is something that fits the bill for every budget and taste preference. As you plan future Georgia getaways, consider including one or more of the following Main Street establishments in your itinerary. The Bavarian theme of Helen lends itself to German cuisine and the Bavarian Inn is the place to be. Situated in the heart of Alpine Helen, this charming restaurant is known for mouth-watering, authentic flavors including reuben sandwiches, bratwurst, sauerkraut, schnitzel, and strudel. Wash your meal down with a cold one from the Inn's extensive beer and wine list before posing for a souvenir picture at the photo shop. There is no better place to get German food in the area than Old Bavaria Inn. They offer authentic German decor, a classic menu, and an extensive drink list with over 96 imported and domestic beers. They have a number of specialty dishes, such as German pretzels and apple strudel, which are worth trying. All of their house specials are German entrees that come with warm bread and butter. Their menu also includes a selection of schnitzels. You'll have a hard time picking just one. Don't forget to ask about their happy hour specials from 3:00 to 6:00 p.m. on Saturday and Sunday. Sometimes you're just in the mood for some tasty Mexican eats. If you've got a craving for authentic chips, salsa, tacos, enchiladas, fajitas, margaritas, and beer, be sure to stop by and see what all the fuss is about! The Valadez family serves authentic Mexican cuisine in a casual atmosphere at La Cabana.. They offer inexpensive portions of classic dishes with plenty of chips and salsa on the side. If you want a a meal with rice and beans, get an entree. Don't forget to order a margarita or Dos Equis to enjoy with your lunch or dinner. La Cabana often features live music on the patio on warm evenings. The musicians are funny and not afraid to get the customers to participate. Casual, American dining with a modern & upscale twist! Recently under new management, Mully's Nacoochee Grill offers all of your favorites like you've never had them before! You'll fall in love with favorites like ribeye steak, salmon salad, chicken pasta, and shrimp & grits as you sip on tasty wines and cocktails. Don't forget to save room for chocolate tort and mousse! And if you're a fan of brunch, drop by for waffles, crepes, omelets and more. Mully offers modern American cuisine at Nacoochee Grill. He and his staff offer friendly service in a relaxed environment. It is fine dining with casual dress at its best. You're sure to get a greeting from the owner himself during your meal if he's in the restaurant. The hostesses and wait staff do a great job with delivering a personal touch for the customers, too. Expect big portions of top quality pasta, ribs, steak, and rainbow trout. The chowder is also outstanding. Make sure that you save room for dessert as they offer homemade classics like apple pie. The Meeting Place offers Family dining at its very best. This casual and intimate eatery offers a cozy setting for family and friends to gather together in the morning for breakfast favorites like chocolate chip or blueberry pancakes, eggs, bagel sandwiches, or biscuits 'n gravy. After 11am you can take in a lunch of sandwiches, burgers, and comfort foods like meatloaf, fried chicken, or chicken tenders. Stop at the Village Peddler gift shop on your way out! Everybody loves pizza, and the Nacoochee Village Tavern & Pizzeria serves up some of the best slices in town! What makes it one of the best Helen places to eat? Fresh dough made daily with local ingredients and no added chemicals or preservatives! With weekly specials, it's easy and affordable to enjoy all the pizza, salad, sandwiches, and drinks you can consume! Paul's Steakhouse is more than one of the top Helen places to eat - it's a hub for nightlife! Indulge in succulent steaks and ribs, heaping seafood platters, fried chicken, and more. And with deals like "All you can eat crab legs" on Thursdays and "All you can eat ribs" on Fridays, you'll get the most bang for your buck during your visit. On weekends, you can expect live music - both inside Paul's and out back on the patio (Viele Margarits on the River). Good times will be had by all! For snack attacks and casual meals, Hofer's is one of the greatest Helen places to eat. German classics like goulash, bratwurst, and Bavarian pork roast will fill you up, or you might select from sandwiches like the Rueben or chicken salad. Just need something to tied you over until dinner? Munch on a freshly baked pretzel , a torte, or an irresistible cheesecake cup. Finally, Georgia getaways are the perfect opportunity to pick up some German bakery goods. Hofer's is housed in the old home of a First National Bank, which required extensive remodeling to turn it into an authentic Bavarian Konditorei and Cafe. Horst and Gerda Hofer have been running bakeries and wholesale operations since they arrived in the United States in the late 1950s. Hofer's of Helen has been in operation since 1991. The Troll Tavern advertises that they are under the bridge and on the river in downtown Helen. With a wide selection of appetizers, pasta, seafood, chicken, German, and Mexican, there is something for everyone. Vegetarians and meat eaters alike will be happy here. Make sure to inquire about the daily dessert specials. If you're in the mood for a drink, the full service bar offers draft and bottled beer as well as specialty cocktails. Cafe International has been in business for nearly 30 years with the same stellar food and service that they had when they first started. They are well known in the area for The Best Reuben Ever. All of their sandwiches, salads, and German selections are well done with plenty of offerings for vegetarians. They have daily specials and an extensive beer and wine menu as well as fabulous desserts. Kids are always welcome at Cafe International. The location has a beautiful view of the Chattahoochee River. You may have to wait a little bit for your food at this small burger joint establishment during the tourist season, but it will be well worth it. You can't go wrong with the burgers and fries. The Big Kahuna burger is one of their most popular meals. They offer tasty sandwiches as well including Reubens and bratwurst. 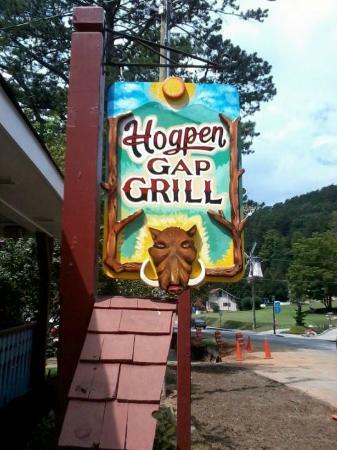 After a long morning or afternoon of shopping in Helen, it's the perfect place to stop and enjoy a quick meal and a cold beer or two. Know of any other excellent Helen places to eat on Main Street? Leave your tips for future visitors in the comments section!